Congratulations!! Your teen has passed the driver’s test. You must be very proud and if you are at all like me, you are a bit terrified. The statistics on teen drivers are scary! Car crashes took more than 2,400 young lives in 2016- that’s 6 teen deaths per day. All new drivers- even straight ‘A’ students and “good kids”- are more likely than experienced drivers to be involved in a fatal crash. Traffic crashes are the second leading cause of teen death in MN. Teens are inexperienced behind the wheel. They do not fully understand the dangers of their actions. They tend to participate in more risky behavior behind the wheel. 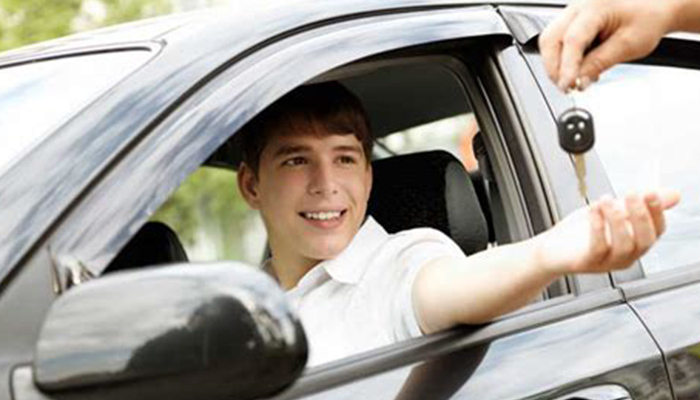 Parents can play a key role in keeping their teens safe on the road. The CDC has a website that can educate kids and parents about the 8 danger zones for teens behind the wheel. They recommend signing a parent-teen driving agreement. I have attached the CDC pages that can be helpful for you to review with your teen. I think parents need to place a special emphasis on the specific danger of cell phones and driving. In this digital age the cell phone can be a deadly distraction. How many times have you seen your teen INSTANTLY reach for the cell phone after hearing it chime? Texting while driving is SIX TIMES more likely to cause an accident than driving drunk!! Texting on average takes your attention for about 5 seconds. In that time a car will drive the length of a FOOTBALL FIELD if you are driving 55 MPH. Of all the cell phone related tasks while driving, texting is by far the most dangerous activity. AT&T Drive Mode – the app will also block any phone talking or texting when you are driving 15 MPH. There are other apps discussed on the website. This can be a wonderful time of freedom and independence for our kids. We as parents can help them navigate this as safely as possible when we are aware of the danger zones and ways to help kids avoid them. Previous Post: « Is Caffeine Safe for Children and Teenagers?